Her first book If You Have to Cry, Go Outside was pretty good. 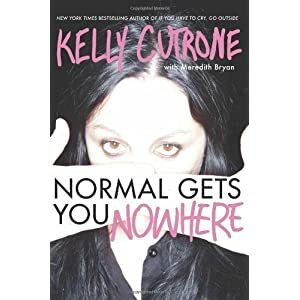 This one was about how you should be your true self and that trying to be everyone else's version of normal will not get you to your goals or where you want to be. The one chapter I think everyone should read is chapter seven called the No Matter What Club. It is about how sometimes friendships serve there purpose and that the true friends are those that not only stand by you but grow with you. This book could be called semi-autobiographical. 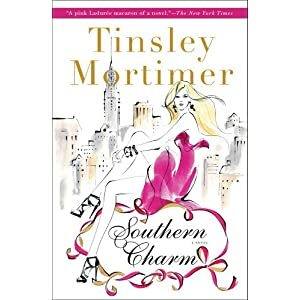 Anyone who has read anything about Tinsley Mortimer (or watched the show she had on the CW about two or three years ago) knows that many of the characters and other items in the book are her. The book was entertaining for most part. I was reading it connecting the dots of her real story to the characters in the book. It is better than some of the other "celebrity" books I have read. The premise of this book is how Americans are addicted to cheap, fast fashion and the lengths that American companies have going to keep their cost down. If you are into fashion at all I would recommend reading this. It will change your out look on the clothing you wear and buy. It makes you realize the extent that companies will go to save themselves money. I like the show Demetri Martin had on Comedy Central but that kind of comedy does not translate will over to a book. There was one or two funny chapters but other than that it was a hard read. In all honesty, I got so bored with the last two chapters that I just decided to stop reading it. I know my reviews are not like the pros but they are truthful. I have spent a lot of money on some really bad books that I wish someone would have told me they were horrible before it bought them. If anyone has any suggestions on books I should read let me know.